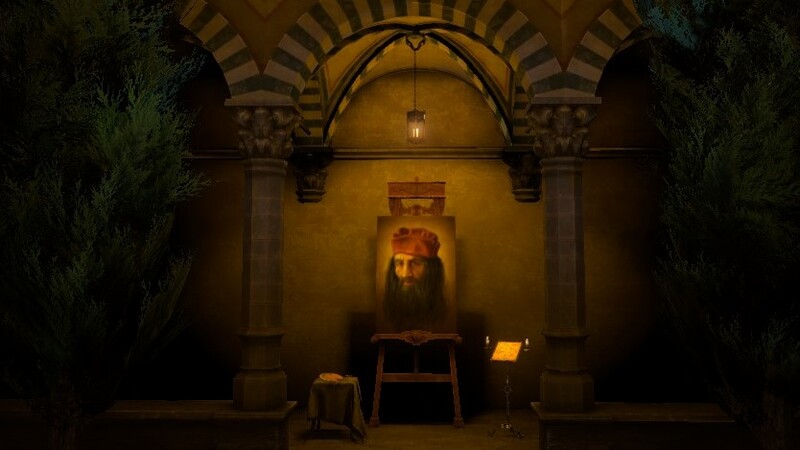 The House of Da Vinci, from Blue Brain Games, is a beautifully rendered 3D puzzle game, originally published as an app ($4.99) last summer, and recently launched on Steam ($19.99). 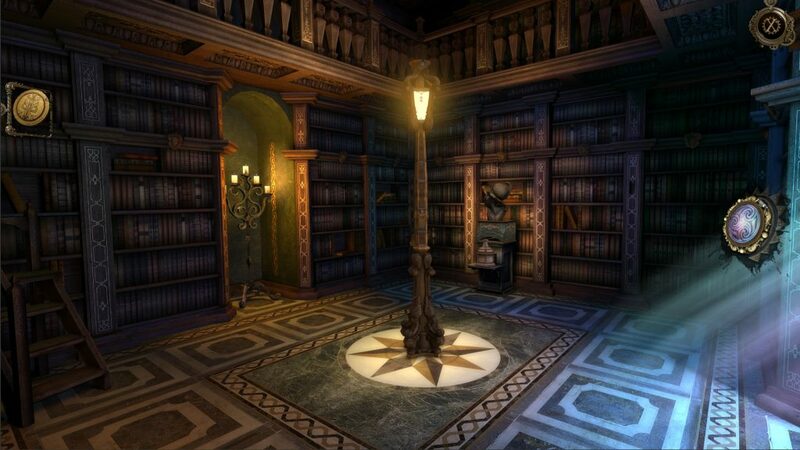 I expected it to be a traditional point-and-click adventure game, but it’s more of an intricate, multi-environment, 3D escape room, where each room you find your way out of leads to another one. Even though it wasn’t exactly the story-driven format I thought, it provided me with many hours of puzzle solving fun, immersing me in the rich world of Leonardo Da Vinci and his fascinating inventions. The puzzles averaged a medium challenge level, so were never too difficult, but remained entertaining enough even for a seasoned adventure and puzzle gamer like myself. 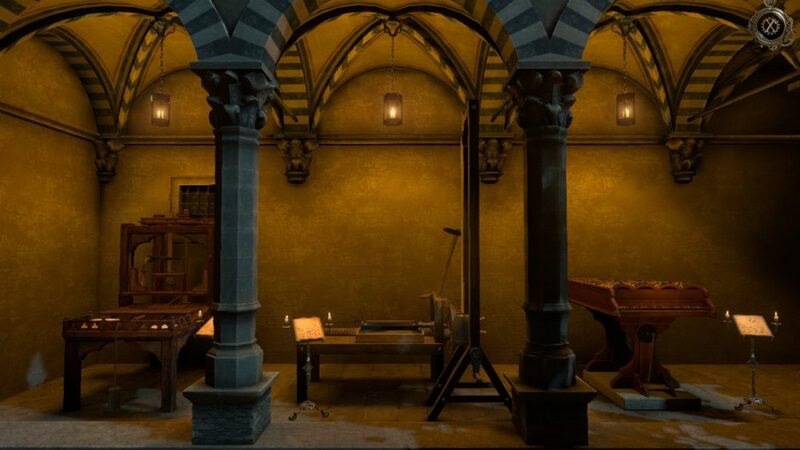 The game is set in 1506 Florence, at the height of the Renaissance, in the network of connected, secret chambers of Leonardo Da Vinci’s library and workshop. You play as his most trusted apprentice, following clues he left for you, as you make your way through his maze of rooms. Your master has vanished, concealing himself from his enemies, and hoping that only you will be able to find him. 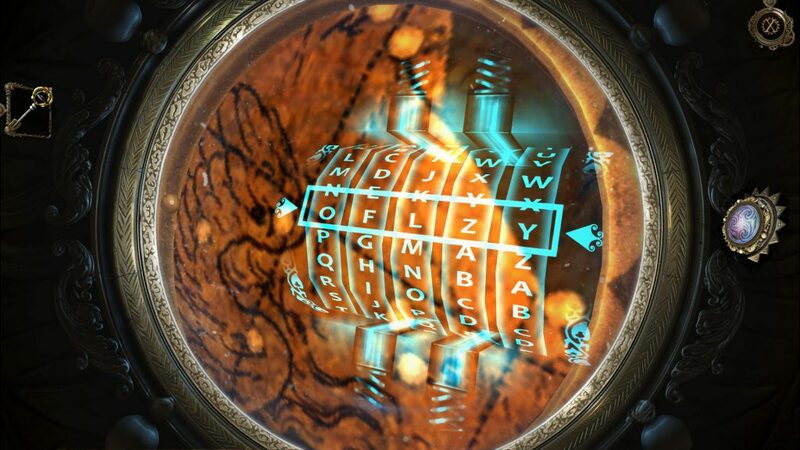 In each chamber you visit, you’ll discover multiple devices designed by Da Vinci, either incomplete or locked up tight. You’ll need to uncover bits and pieces to complete them, or use with these devices to unlock their secrets, and progress to the next device or next room. 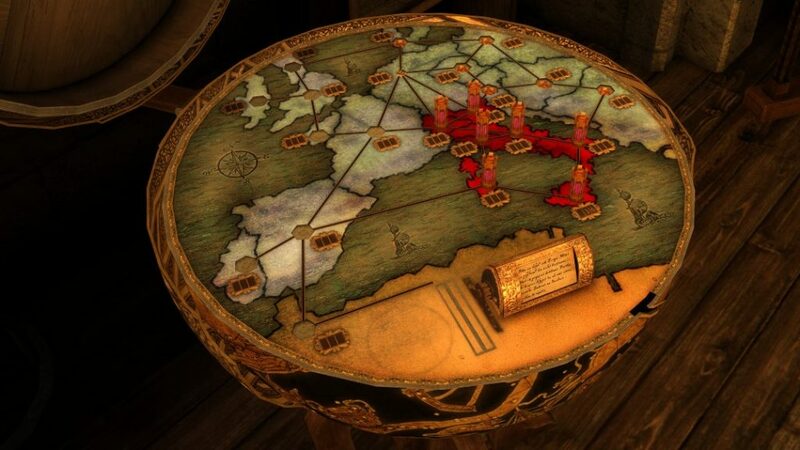 Many of the mechanisms you’ll see were actual working inventions, created by the real-life Da Vinci, and some are original to the game, but inspired by Da Vinci’s notes and drawings. 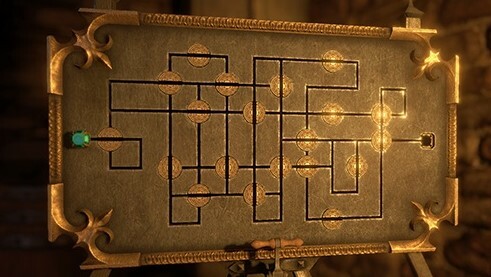 This really gave a special authenticity to the game, and made each puzzle that much more unique and interesting. Close to when you first start the game, you’ll get access to 2 cool power-up features, that you’ll need to employ to solve some of the puzzles, the Oculi Infinitum and the Oculi Tempus. The Oculi Infinitum will allow you to see inside the inner workings of a mechanism, and manipulate its normally hidden parts. There’s often no way of even knowing an action is possible with an object unless you’re looking through this seemingly magical device. The Oculi Tempus let’s you see about 10 seconds of an important past occurrence, which helps you see the exact placement or settings of objects in certain puzzles. This is extremely helpful, and like the hidden mechanisms of the previous power-up, is the only way to solve these particular brain teasers. There is an Achievements section in the menu screen, and I usually don’t bother looking at these, but I’m so glad I did in this title. Your Achievements aren’t just silly badges you collect, but fully functional, interactive machines, actually invented by Leonardo Da Vinci. 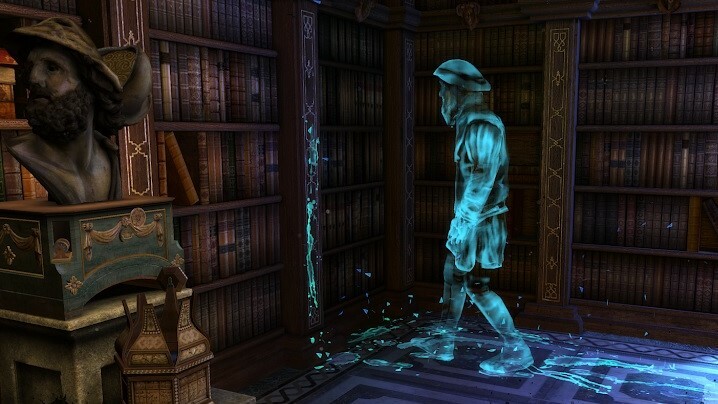 As you go through each room, you’ll need to be on the look out for subtly glowing pieces of parchment, each one representing an invention for your Achievements collection. You can view them all, read about their creation and purpose, and operate them as much as you like, in the lush outdoor courtyard of Da Vinci’s Florentine sanctum. It’s a small bonus section of the game, but it gave me as much joy as any of the other rooms in the main story. There’s no free exploring in this game, and everything you need to accomplish is done in a specific sequence. Some players who are used to a more open sandbox environment might find this constricting. However, those people who thrive when required to think linearly will love it. The game mechanics are fully mouse based, and super easy to navigate. Just click where you want to move to, double click to get closer to an object, click to interact, etc. I like not having to hunch over my keyboard for double-handed control of my character. The ambient music in the game fits perfectly with the Renaissance setting, making you feel like you’ve been transported to this compelling era. So, not only is the game visually stunning, but atmospherically vibrant as well. There’s a helpful, progressive hint system, in case you get stuck and need a little push in the right direction. I’ll admit that I needed a few hints throughout my time in the game, but only once did I ask for all 3 hint levels. Also, no worries if you aren’t a native English speaker, the game is available in 15 other languages. 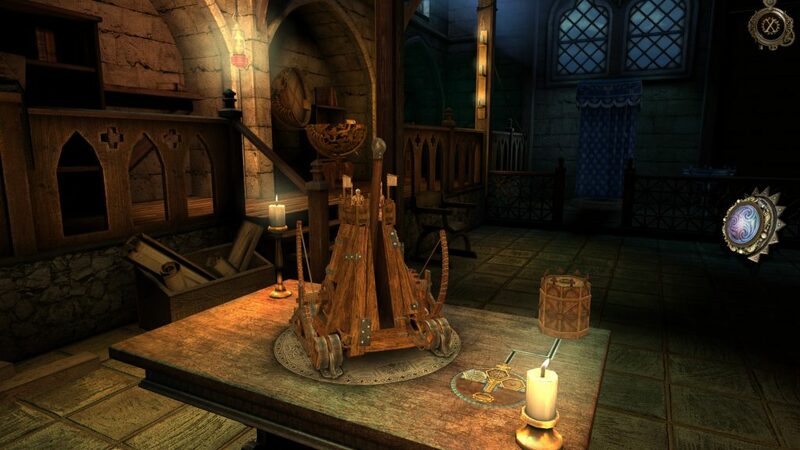 Whether you’re a puzzle lover, a fan of classic point-and-click adventures, or even just have a passing interest in Leonardo Da Vinci’s genius inventions, I’m sure you’ll be delighted with The House of Da Vinci. It took me about 8 hours to finish the entire game, and I think I moved through it pretty fast. A less seasoned puzzler could probably enjoy about 12 hours of challenging fun before reaching the end. The graphics and gorgeous environments make this game worth a download, but add in the intricate mechanical puzzles and you’ve really got a winner. Check it out on Steam today, or if you want to take it on-the-go, check out the iOS or Android app. Personally, I think the small screen doesn’t do this game nearly enough justice, so I’d recommend springing for the large screen version, so you can really enjoy the beauty and design of all the environments. Have fun!